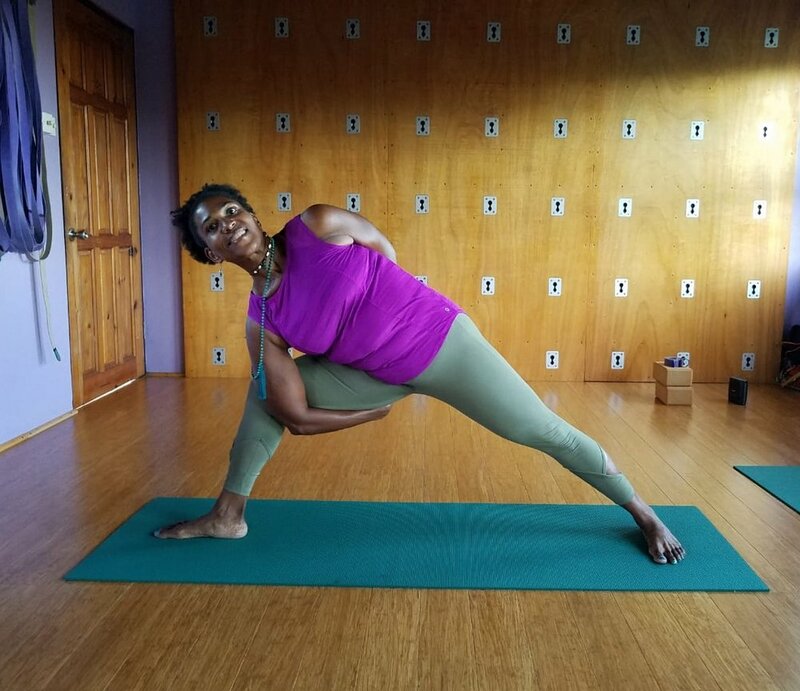 Guest yoga teacher, Marcia Cameron, in Bound Extended Side Angle Pose. Begin in mountain pose, standing at the front of your mat. Turn to face the left side of your mat and extend your arms out at shoulder height. Separate your feet about 3.5 feet apart, or as wide as your wrists. Keep your right foot pointing towards the front of your mat and allow your left foot to turn towards the long side of your mat. Bend your right knee so that it aligns over your ankle and points towards your center toes. Keep your torso facing the left side of your mat and lower your right hand down to the earth. Take your left hand behind your back. 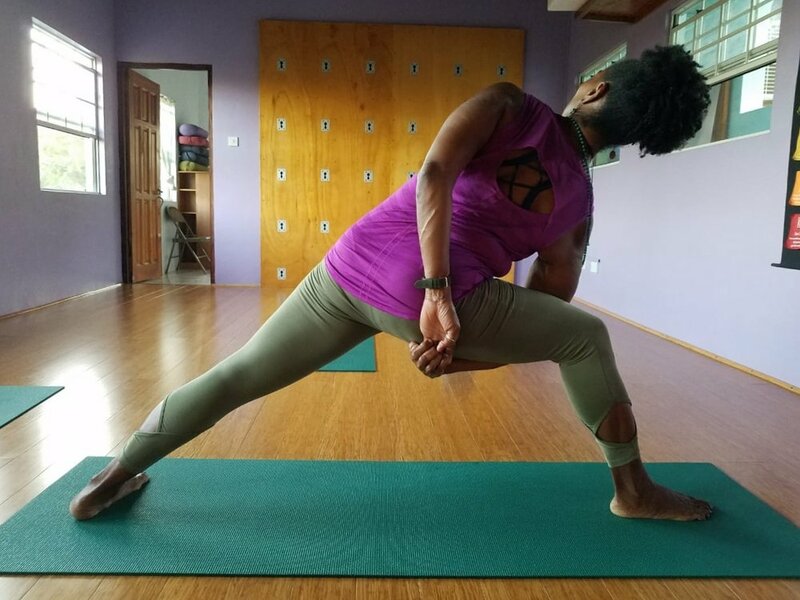 Weave your right arm under your front thigh in order to clasp your hands together behind your bottom thigh or near your low back. Lean your upper body back in line with your leg. Keeping the spine long, rotate the chest up as you roll the top shoulder back so that it stacks over the bottom shoulder. Draw belly towards spine engaging the abdomen. Keep the collarbones wide and maintain a strong base in the legs. Repeat with left leg in front. If your hands are not able to touch yet, use a yoga belt and hold it in each hand. This pose is also great without the bind. Try placing your bottom hand on a block and extend your top arm past your ear.